We’re excited to announce our first ever Thanksgiving feast! 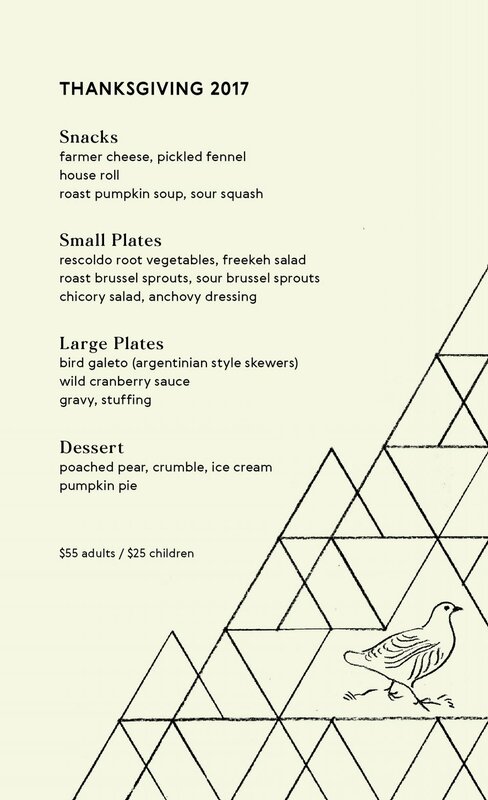 To book supper with us on November 23, please visit Resy or call us at 718 233 9134. More details can be found below. Cheers!